If something happens 1,200 in 5,000,000 times then it has a 0.02% chance of happening. While these odds may be better than winning the lottery or being struck by lightning, they’re still quite small and equally as impressive. Come to the College Football Hall of Fame and Chick-fil-A Fan Experience, and you’ll be able to see that 0.02% in action. That’s how rare it is for a college football player to make it onto our third floor. In total there have been 5.19 million college football players, but only 1,201 can say they are a member of the Hall of Fame as an inductee. These men haven’t done the impossible, but they truly are in elite category. For a player to be eligible for the Hall of Fame they must have been named a First-Team All American, be retired from professional football and be 10 years out of college football. Coaches inside the Hall had to have coached 10 seasons, have a .600 winning percentage or better and be retired as well (or 75 years old if actively coaching). To go along with these talents on the field, our inductees proved themselves to be good people in their communities. 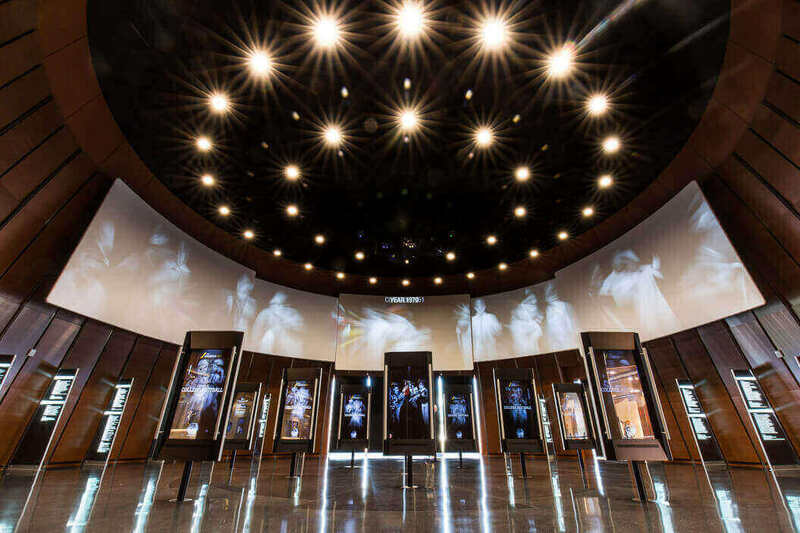 A player or coach’s NFL career plays no impact into the voting process for the College Football Hall of Fame. For instance, Super Bowl MVPs Tom Brady (Michigan), Joe Namath (Alabama), Malcolm Smith (USC), Aaron Rodgers (Cal), Joe Flacco (Delaware), Drew Brees (Purdue), Kurt Warner (Northern Iowa), and Terrell Davis (UGA) will never be inducted into the College Football Hall of Fame. While their NFL accomplishments are quite impressive, they were never First-Team All Americans in college. So unfortunately, they will never be a Hall of Famer. Instead, it is all about what you did on the college football field that puts you inside the College Football Hall of Fame. And, it’s not just FBS or FCS schools that have representation inside the Hall. 306 schools are represented by at least one Hall of Fame player or coach. These men have proven to be the best of the best whether they were playing at the FBS or Division III levels and for that they are honored here. With the 2018 Hall of Fame ballot announcement, let’s take a moment and congratulate those that are this much closer to becoming a part of that .02%. Their excellence in college football is part of what makes the game of college football great today. Interested in seeing who's on the 2018 Hall of Fame ballot? Click HERE for more information.